(VEN) - The vast majority of business firms in Vietnam would like to take part in the Fourth Industrial Revolution, but have not yet taken steps to prepare for it. These were the key findings of an extensive survey conducted by the Ministry of Industry and Trade and presented at the Industry 4.0 Summit and Expo 2018 in Hanoi on July 12-13. 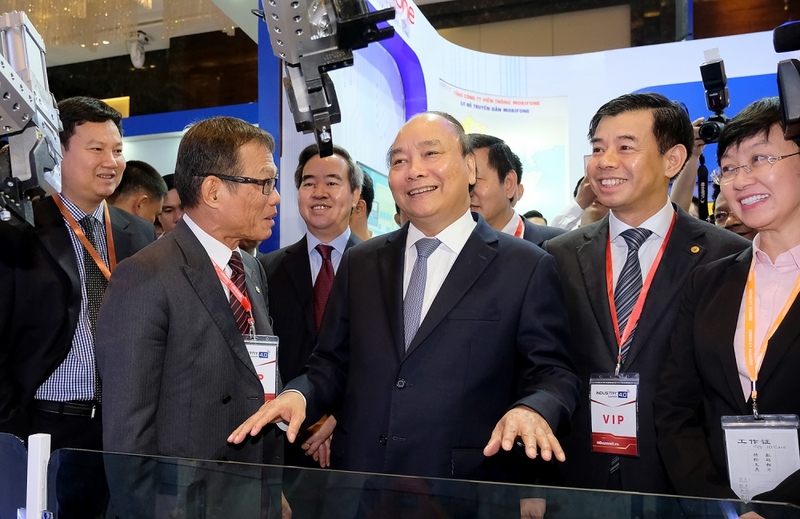 At the event, themed “Vision and development strategy in the fourth industrial revolution”, Prime Minister (PM) Nguyen Xuan Phuc expressed his belief that Industry 4.0 would create opportunities for businesses to realize their aspirations. To assess business readiness for Industry 4.0, from September 2017 to May 2018, the MoIT coordinated with the United Nations Development Program (UNDP) to survey 2,659 companies in 17 sectors/fields, and to conduct intensive interviews at groups and corporations managed by the ministry, as well as companies with higher levels of readiness compared with the rest. Results show that 82 percent of businesses are interested in Industry 4.0, of which 61 percent have not done anything to get ready for it, while 21 percent are taking the first steps. The entire industry and trade sector only scored 0.53 points (the highest is five) on its readiness for Industry 4.0, meaning that it has not prepared. The top five sectors on the readiness list include oil and gas; electronic products; motorized vehicles; electricity-gas-water; and chemicals. Notably, engineering, textiles, garments and footwear, which are key areas of the industry and trade sector, lie at the bottom of the list. However, except oil and gas, businesses in all the 17 surveyed sectors/fields are assumed to be unprepared for Industry 4.0. 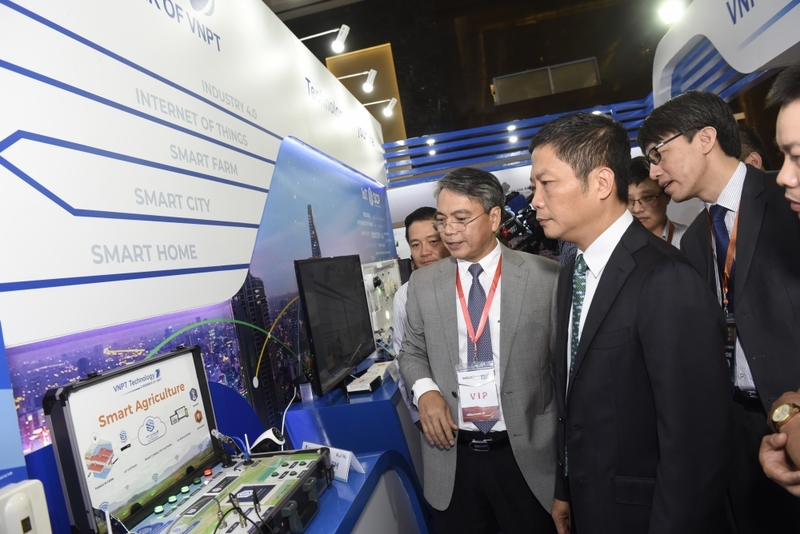 Nguyen Van Binh, Politburo Member, Secretary of the Vietnam Communist Party Central Committee and Head of the Central Economic Commission, said taking advantage of opportunities presented by Industry 4.0 is challenging all nations, especially developing countries, including Vietnam. If it does not take suitable approaches to keep pace with the region and the world, Vietnam risks falling behind in technology, as well as facing redundancy of low-skilled workers and its resulting social inequality. Sharing this opinion, Minister of Science and Technology Chu Ngoc Anh said Industry 4.0 brings opportunities and benefits to the state, businesses and people through the development of smart manufacturing and services, which help increase labor productivity and save costs. 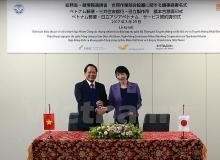 “However, Industry 4.0 also requires the government and businesses to cope with challenges, which compel them to adopt sound innovations to build a solid legal corridor and adequate infrastructure for digital connections, intensify training to generate highly qualified human resources, promote administrative reform and enhance competitiveness,” he emphasized. PM Nguyen Xuan Phuc highlighted the necessity of formulating clear objectives in all fields managed by the government. To get ready for Industry 4.0, in his opinion, businesses need to be aware of their actual condition in order to take necessary measures. The PM indicated measures required in order to take advantage of Industry 4.0. These include improving policies and mechanisms to create a favorable legal framework for digital economy and smart industries to develop; building adequate infrastructure, especially in terms of information technology, for Industry 4.0; accelerating human resource development to meet the requirements of digital economy; and developing a national innovation system to promote creative startups in all fields and sectors. Following the guidance of the PM, the Ministry of Industry and Trade (MoIT) has prepared a detailed assessment of business readiness for Industry 4.0. The MoIT was the first ministry to compile such a report and has been a pioneer in reform. Given the results of its business survey, the industry and trade sector has concentrated on major measures to build business readiness for Industry 4.0. According to Deputy Minister of Industry and Trade Do Thang Hai, on November 10, 2017, the Minister of Industry and Trade approved an action plan to implement Prime Ministerial Instruction 16/CT-TTg regarding Industry 4.0 access enhancement. Under this plan, the MoIT will assist businesses in accessing and applying Industry 4.0 technologies, and promote digitalization in potential areas. Industry 4.0 has become a major content of scientific and technological programs at a ministerial or national level. Sci-tech organizations in the industry and trade sector have proposed the implementation of various tasks related to Industry 4.0 technologies in 2018. Helping businesses apply Industry 4.0 technologies is a major part of a project designed to promote the application of science and technology in the process of restructuring the industry and trade sector, which was approved by the PM via Decision 754/QD-TTg dated May 31, 2017.
can access and be firmly positioned in discerning markets worldwide.